Andhra Pradesh ( pronunciation ) is one of the 29 states of India, situated on the southeastern coast of the country. The state is the seventh largest state in India covering an area of 162,970 km2 (62,920 sq mi). As per 2011 Census of India, the state is tenth largest by population with 49,386,799 inhabitants. The state has a coastline of 974 km (605 mi) with jurisdiction over nearly 15,000 km2 territorial waters, the second longest among all the states of India after Gujarat. It is bordered by Telangana in the north-west, Odisha in the north-east, Karnataka in the west, Tamil Nadu in the south and the water body of Bay of Bengal in the east. A small enclave of 30 km2 (12 sq mi) of Yanam, a district of Puducherry, lies south of Kakinada in the Godavari delta to the east of the state. Andhra Pradesh hosted 121.8 million visitors in 2015, a 30% growth in tourist arrivals over the previous year. The Tirumala Venkateswara Temple in Tirupati is one of the world's most visited religious sites, with 18.25 million visitors per year. Other pilgrimage centers in Andhra Pradesh include the Mahachaitya at Amaravathi, and the Kanaka Durga Temple in Vijayawada, while the state's natural attractions include the beaches of Visakhapatnam, hill stations such as the Araku Valley and Horsley Hills, and the island of Konaseema in the Godavari River delta. 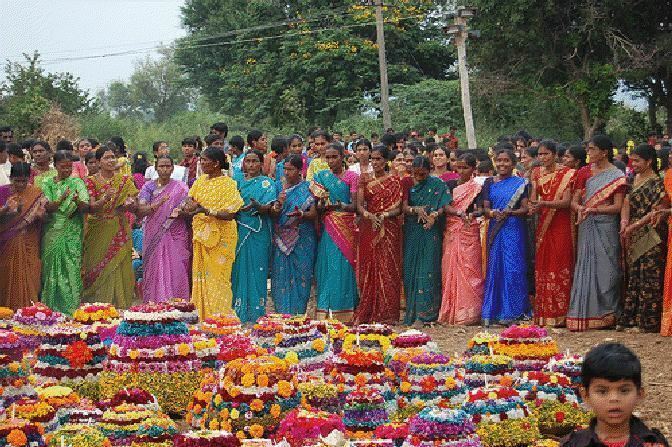 A tribe named Andhra has been mentioned in the Sanskrit texts such as Aitareya Brahmana (800-500 BCE). According to Aitareya Brahmana of the Rig Veda, the Andhras left north India and settled in south India. The Satavahanas have been mentioned by the names Andhra, Andhrara-jatiya and Andhrabhrtya in the Puranic literature. They did not refer themselves as Andhra in any of their coins or inscriptions; it could be possible that they were termed as Andhras because of their ethnicity or because their territory included the Andhra region. Archaeological evidence from places such as Amaravati, Dharanikota and Vaddamanu suggests that the Andhra region was part of the Mauryan Empire. Amaravati might have been a regional centre for the Mauryan rule. After the death of emperor Ashoka, the Mauryan rule weakened around 200 BCE, and was replaced by several smaller kingdoms in the Andhra region. The Satavahana dynasty dominated the Deccan region from the 1st century BC to the 3rd century. The later Satavahanas made Dharanikota and Amaravathi as their capital, which according to the Buddhists is the place where Nagarjuna, the philosopher of Mahayana lived in the 2nd and 3rd centuries. The Andhra Ikshvakus with their capital at Vijayapuri, succeeded the Satavahanas in the Krishna River valley in the later half of the 2nd century. Pallavas, who were originally executive officers under the Satavahana kings, were not a recognised political power before the 2nd century AD and were swept by the Western Chalukyan invasion, led by Pulakesin II in the first quarter of the seventh century AD. After the downfall of the Ikshvakus, the Vishnukundinas were the first great dynasty in the 5th and 6th centuries with, which held sway way over the entire Andhra country including Kalinga and parts of Telangana. They played an important and imperial role in the history of Deccan during the 5th and 6th century AD, with Eluru, Amaravathi and Puranisangam. 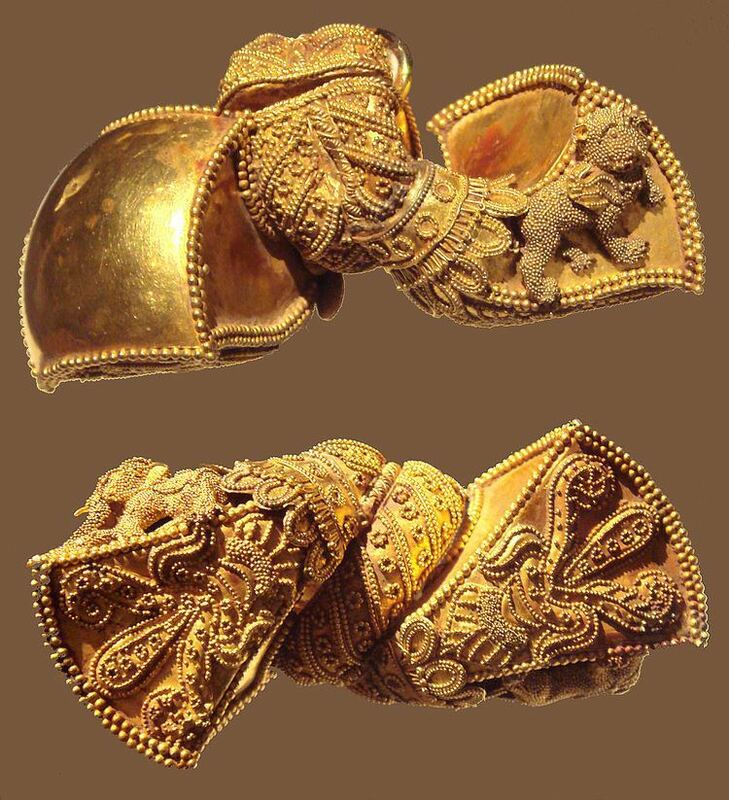 The Salankayanas were an ancient dynasty that ruled the Andhra region between Godavari and Krishna with their capital as Vengi, modern Pedavegi from 300 to 440 AD. The Eastern Chalukyas of Vengi, whose dynasty lasted for around 500 years from the 7th century until 1130 C.E., got merged with the Chola empire. They continued to rule under the protection of the Chola empire until 1189 C.E., when the kingdom succumbed to the Hoysalas and the Yadavas. The roots of the Telugu language have been seen on inscriptions found near the Guntur district and from others dating to the rule of Renati Cholas in the fifth century CE. The Reddy dynasty (1325–1448 CE) was established by Prolaya Vema Reddi in the early 14th century, who ruled the present day from Visakhapatnam in the north to Kanchipuram in the south. Prolaya Vema Reddi was part of the confederation of states that started a movement against the invading Turkic Muslim armies of the Delhi Sultanate in 1323 CE and succeeded in repulsing them from Warangal. They constructed Kondaveedu Fort and was ruled by them between 1328–1428 and then taken over by Gajpathis of Orissa, later ravaged by the Muslim rulers of the Bahmani kingdom in 1458. The Vijayanagara emperor Krishnadevaraya captured it in 1516. The Golconda Sultans fought for the fort in 1531, 1536 and 1579, and Sultan Quli Qutb Shah captured it in 1579, renaming it Murtuzanagar. Again it was reconquered by Vijayanagarans who overthrew sultnate rule from the entire modern day Andhra Pradesh excluding Telangana. Even after the resolution of Vijayanagarans none of Bahmani sultans didn't dare for any military compaigns outside their kingdoms as Marathas soon emerged the mightiest power in India. Efforts are in progress to classify Kondaveedu Fort as a UNESCO World Heritage Site. The Vijayanagara Empire was originated in the Deccan Plateau region in the early 14th century. It was established in 1336 by Harihara Raya I and his brother Bukka Raya I of Sangama Dynasty. The empire's patronage enabled fine arts and literature to reach new heights in Kannada, Telugu, Tamil and Sanskrit, while Carnatic music evolved into its current form. 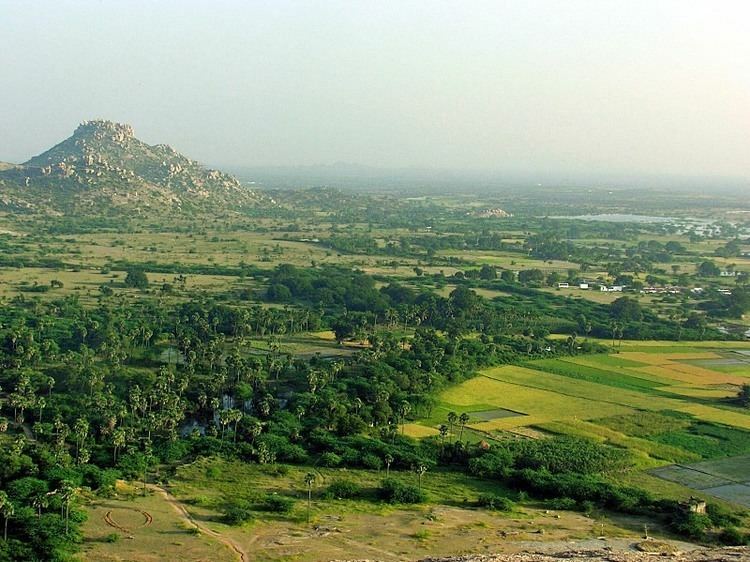 Inspired by their success, the Vijayanagara Empire, one of the greatest empires in the history of Andhra Pradesh and India, was founded by Harihara and Bukka, who served as treasury officers of the Kakatiyas of Warangal. In 1347 CE, an independent Muslim state, the Bahmani Sultanate, was established in south India by Ala-ud-Din Bahman Shah in a revolt against the Delhi Sultanate. The Qutb Shahi dynasty held sway over the Andhra country for about two hundred years from the early part of the sixteenth century to the end of the seventeenth century. In the early 19th century, Northern Circars was ceded and it became part of the British East India company held Madras Presidency. Eventually this region emerged as the Coastal Andhra region. Later the Nizam rulers of Hyderabad ceded five territories to the British which eventually emerged as Rayalaseema region. The Nizams retained control of the interior provinces as the princely state of Hyderabad, acknowledging British rule in return for local autonomy. However, Komaram Bheem, a tribal leader, started his fight against the erstwhile Asaf Jahi Dynasty for the liberation of Hyderabad State. Meanwhile, the French occupied Yanam, in the Godavari delta, and (save for periods of British control) would hold it until 1954. In 1947 Vizianagaram was the largest Hindu Princely state in Andhra Pradesh. In an effort to gain an independent state based on linguistic basis and to protect the interests of the Telugu-speaking people of Madras State, Potti Sreeramulu fasted until death in 1952. As Madras became a bone of contention, in 1949 a JVP committee report stated "Andhra Province could be formed provided the Andhras give up their claim on the city of Madras (now Chennai)". After Potti Sreeramulu's death, the Telugu-speaking areas, i.e. Andhra State, was carved out of Madras State on 1 October 1953, with Kurnool as its capital city. On the basis of a gentlemen's agreement of 1 November 1956, the States Reorganisation Act formed Andhra Pradesh by merging Andhra State with the Telugu-speaking areas of the already existing Hyderabad State. Hyderabad was made the capital of the new state. The Marathi-speaking areas of Hyderabad State merged with Bombay State and the Kannada-speaking areas were merged with Mysore state. In February 2014, the Andhra Pradesh Reorganisation Act, 2014 bill was passed by the Parliament of India for the formation of Telangana state comprising ten districts. 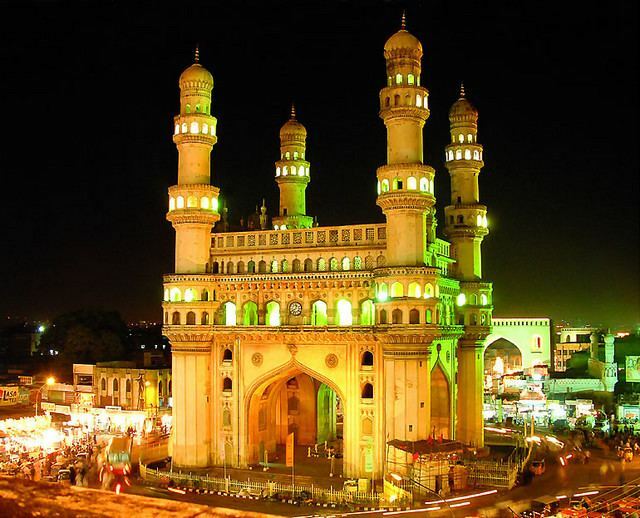 Hyderabad will remain as a joint capital for not exceeding 10 years. The new state of Telangana came into existence on 2 June 2014 after approval from the President of India. The state has varied topography ranging from the hills of Eastern Ghats and Nallamala Hills to the shores of Bay of Bengal that supports varied ecosystems, rich diversity of flora and fauna. There are two main rivers namely, Krishna and Godavari, that flow through the state. The seacoast of the state extends along the Bay of Bengal from Srikakulam to Nellore district. The plains to the east of Eastern Ghats form the Eastern coastal plains. The coastal plains are for the most part of delta regions formed by the Godavari, Krishna, and Penner Rivers. The Eastern Ghats are discontinuous and individual sections have local names. The Eastern Ghats are a major dividing line in the state's geography. The Kadapa Basin formed by two arching branches of the Eastern Ghats is a mineral-rich area. The Ghats become more pronounced towards the south and extreme north of the coast. Most of the coastal plains are put to intense agricultural use. The Rayalaseema region has semi-arid conditions. The state has many Sanctuaries, National Parks and Zoological Parks such as, Coringa, Krishna Wildlife Sanctuary, Nagarjunsagar-Srisailam Tiger Reserve, Kambalakonda Wildlife Sanctuary, Sri Venkateswara Zoological Park, Indira Gandhi Zoological Park etc. Atapaka Bird Sanctuary, Nelapattu Bird Sanctuary and Pulicat Lake Bird Sanctuary attracts many migratory birds. The state possesses some rare and endemic plants like Cycas beddomei, Pterocarpus santalinus, Terminalia pallida, Syzygium alternifolium, Shorea talura, Shorea tumburgia, Psilotum nudum, etc. The diversity of fauna includes tigers, panthers, hyenas, black bucks, cheetals, sambars, sea turtles and a number of birds and reptiles. The estuaries of river Godavari and Krishna support rich mangrove forests with fishing cats and otters as keystone species. As of 2011 Census of India, the state had a population of 49,386,799 with a population density of 308/km2 (800/sq mi). According to Polavaram ordinance bill 2014 , 7 mandals of Khammam district in Telangana state merged with Andhra Pradesh to facilitate polavaram project, due to which population of 2,47,515 added to Andhra Pradesh. Thus final population of Andhra Pradesh in the year 2014 ,as per census 2011 is 4,96,34,314 ; with a density of 304.5/sqkm . Majority of the people in Andhra Pradesh are Hindus while Muslims constitute a sizeable minority. According to the 2011 census, the major religious groups in the state are Hindus (90.87%), Muslims (7.32%) and Christians (1.38%). Buddhists, Sikhs, Jains & the people who declined to state their religion make up the remaining portion of population. Andhra Pradesh is home to Shankaracharya of Pushpagiri Peetham. Other Hindu saints include Sadasiva Brahmendra, Bhaktha Kannappa, Yogi Vemana, Yogi Sri Potuluri Virabrahmendra Swami. The region played a central role in the development of Mahayana-buddhism, along with the Magadha-area in northeastern India. A.K. Warder holds that "the Mahāyāna originated in the south of India and almost certainly in the Andhra country." According to Xing, "Several scholars have suggested that the Prajnaparamita probably developed among the Mahasamghikas in Southern India probably in the Andhra country, on the Krishna River." The Prajñāpāramitā Sutras belong to the earliest Mahayana Sutras. 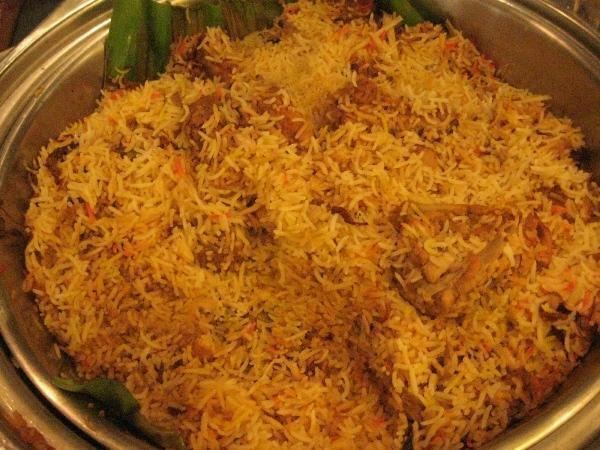 It has a total of 13 districts, nine in Kosta and four in Rayalaseema. These 13 districts are further divided into 50 revenue divisions There are as many as 7 revenue divisions in East Godavari district and only 2 in Vizianagaram district. The 50 revenue divisions are in turn divided into 670 mandals. Chittoor district has the most number of mandals with 66 and Vizianagaram district has the least with 34. There are a total of 31 cities which include, 16 municipal corporations and 14 municipalities. There are two million plus cities namely, Visakhapatnam and Vijayawada. Andhra Pradesh was ranked eighth among other Indian states in terms of GSDP for the financial year 2014–2015. The GSDP at current prices was 5200.3 billion and at constant prices was 2645.21 billion. The domestic product of agriculture sector accounts for ₹545.99 billion (US$8.5 billion) and Industrial sector for ₹507.45 billion (US$7.9 billion). The service sector of the state accounts more percentage of the GSDP with a total of ₹1,305.87 billion (US$20 billion). In the 2010 list by Forbes magazine, there were several from Andhra Pradesh among the top 100 richest Indians. The industrial sector of the state includes some of the key sectors like Pharma, Automobile, Textiles etc. Sricity located in Chittoor district is an integrated business city which is home to many renowned firms like PepsiCo, Isuzu Motors, Cadbury India, Kellogg's, Colgate-Palmolive, Kobelco etc. The PepsiCo firm has its largest plant in India at Sri City. Thermal (natural gas and coal based) and renewable power plants totalling to 21,000 MW were installed in the state by the year 2015. Local power plants of 9,600 MW capacity only are supplying electricity in the state which includes Simhadri Super Thermal Power Plant (2000 MW) of NTPC, Vizag Thermal Power Station (1040 MW), Rayalaseema Thermal Power Station (1050 MW), Sri Damodaram Sanjeevaiah Thermal Power Station (1600 MW), Vijayawada Thermal Power Plant (1760 MW), etc. Hydel power plants are having a capacity of 1671 MW. Nannayya, Tikkana and Yerrapragada form the trinity who translated the Sanskrit epic Mahabharata into Telugu language. Nannayya wrote the first treatise on Telugu grammar called Andhra Shabda Chintamani in Sanskrit, as there was no grammatical work in Telugu prior to that. Pothana is the poet who composed the classic Srimad Maha Bhagavatamu, a Telugu translation of Sri Bhagavatam. Vemana is notable for his philosophical poems. The Vijayanagara emperor Krishnadevaraya wrote Amuktamalyada. Telugu literature after Kandukuri Veeresalingam is termed as Adhunika Sahityam. He is known as Gadya Tikkana and was the author of Telugu social novel, Satyavati Charitam. Jnanpith Award winners include Sri Viswanatha Satya Narayana. The Andhra Pradesh native and revolutionary poet Sri Sri brought new forms of expressionism into Telugu literature. Many composers of Carnatic music like Annamacharya, Kshetrayya, and Bhadrachala Ramadas were of Telugu descent. Modern Carnatic music composers and singers like Ghantasala, Sujatha Puligella and M. Balamuralikrishna are also of Telugu descent. The Telugu film industry hosts many music composers and playback singers such as S. P. Balasubrahmanyam, P. Susheela, S. Janaki, P B Srinivas. Folk songs are popular in the many rural areas of the state. Forms such as the Burra katha and Poli are still performed today. Harikathaa Kalakshepam (or Harikatha) involves the narration of a story, intermingled with various songs relating to the story. Harikatha was originated in Andhra. Burra katha is an oral storytelling technique with the topic be either a Hindu mythological story or a contemporary social issue. Rangasthalam is an Indian theatre in the Telugu language, based predominantly in Andhra Pradesh. Gurazada Apparao wrote the play, Kanyasulkam in 1892, which is often considered the greatest play in the Telugu language. C. Pullaiah is cited as the father of Telugu theatre movement. The Telugu film industry had largely shifted from Chennai to Hyderabad. The Telugu film culture (or, "Tollywood") is the second -largest film industry in India next to Bollywood Film Industry. Prolific film producer from the state, D. Ramanaidu holds a Guinness Record for the most number of films produced by a person. In the years 2005, 2006 and 2008 the Telugu film industry produced the largest number of films in India, exceeding the number of films produced in Bollywood. The industry holds the Guinness World Record for the largest film production facility in the world. Telugu people's adorable traditional sweet Pootharekulu originated from Atryapuram village, Andhra Pradesh. The state has several beaches in its coastal districts such as, Rushikonda, Mypadu, Suryalanka etc. ; caves such as, Borra Caves, Indian rock-cut architecture depicting Undavalli caves and the country's second longest caves named as Belum Caves. The valleys and hills include, Araku Valley, Horsley Hills, Papi Hills etc Arma Konda peak located in Visakhapatnam district is the highest peak in Eastern Ghats. The state is home to various religious pilgrim destinations such as, Tirumala Temple, Simhachalam Temple, Annavaram, Srisailam temple, Kanaka Durga Temple, Amaravati, Srikalahasti temple, Shahi jamia masjid in Adoni, Gunadala Church in Vijayawada, Buddhist centres at Amaravati, Nagarjuna Konda etc., and many more as well. Andhra Pradesh has a railway network of 4,403 km (2,736 mi). One of the highest broad gauge tracks in the world is in Eastern Ghats route that runs from Visakhapatnam to Anantagiri. Most of Andhra Pradesh falls under Guntur, Vijayawada, Guntakal (South Central Railway zone and Waltair (East Coast Railway zone) divisions. Waltair Railway Division under ECoR zone is fourth largest revenue earning division in India. Vijayawada railway station is the highest grosser in the SCR zone and one of busiest railway junctions in India. Andhra Pradesh has an overall literacy rate of 67.41% as per the 2011 Indian census. The primary and secondary school education is imparted by government, aided and private schools, under the administration of School Education Department of the state. These schools include, Municipal, Andhra Pradesh Residential, Andhra Pradesh Social Welfare Residential, Zilla Parishad, aided and unaided private schools. There a total of 6,864,201 students enrolled in 61,529 schools in the state. The mediums of instruction followed by the schools are Telugu, English, Urdu, Hindi, Kannada, Odia and Tamil. The Directorate of Government Examinations of the state administers the conduct of Secondary School Certificate examination. 652,374 candidates took the 2016 Secondary School Certificate exam and recorded a pass percentage of 94.52% for regular and 55.47% by private candidates. The higher education in the state is administered by the Department of Higher Education. The central universities in the state are, All India Institute of Medical Sciences, IIM Visakhapatnam, IIT Tirupati, NIT Tadepalligudem and IIITDM Kurnool, Indian Institute of Petroleum and Energy. The Government of Andhra Pradesh has established Rajiv Gandhi University of Knowledge Technologies (RGUKT) in 2008 to cater to the educational needs of the rural youth of Andhra Pradesh. As per the University Grants Commission, GITAM, K L University and Vignan University are the Deemed Universities in the state. There are eighteen state universities in different districts providing higher education in the fields of horticulture, law, medical, techonology, vedic and veterinary. Andhra University is the oldest of all the universities in the state, established in 1926. Research institutes have been set up by the central government in the state. NSTL Naval Science & Technological Laboratory, NIO National Institute of Oceanography, Visakhapatnam, School of Planning and Architecture at Vijayawada is an autonomous research institute under Ministry of Human Resource Development of Government of India, National Atmospheric Research Laboratory carry out fundamental and applied research in Atmospheric and Space Sciences, Indian Institute of Science Education and Research, Tirupati, Society For Applied Microwave Electronics Engineering and Research, Visakhapatnam Central Tobacco Research Institute, Rajahmundry under control of ICAR (Indian Council of Agriculture Research) conducts fundamental and applied research on Tobacco for the benefit of the farming community, Indian Institute of Oil Palm Research (IIOPR) at Pedavegi near Eluru in West Godavari district serves as a centre for conducting and co-ordinating research on all aspects of oil palm conservation, improvement, production, protection, post-harvest technology and transfer of technology, CCRH Regional Research Institute at Gudivada, Clinical Research Institute at Tirupati and National Institute of Oceanography at Visakhapatnam are some of them. Indian Space Research Organisation (or Sriharikota Range (SHAR)) at barrier island of Sriharikota in Nellore district of Andhra Pradesh is a satellite launching station. It is India's primary orbital launch site. India's lunar orbiter Chandrayaan-1 was launched from the centre at 6:22 AM IST on 22 October 2008. The Sports Authority of Andhra Pradesh, is the governing body which looks after the infrastructure development in cricket, field hockey, association football, Olympic weightlifting, chess, water sports, tennis, badminton, table tennis, cycling, etc. Cricket is one of the most popular sports in the state. The ACA-VDCA Stadium in Visakhapatnam is the home to Andhra Pradesh cricket team. The venue regularly hosts international as well as domestic matches. Notable cricketers from Andhra Pradesh, include Maharajkumar of Vizianagram, M. V. Narasimha Rao, M. S. K. Prasad, V.V.S. Laxman, Tirumalasetti Suman, Arshad Ayub, Ambati Rayudu, Venkatapathy Raju, Sravanthi Naidu, Yalaka Venugopal Rao etc. Humpy Koneru, from Gudivada of Krishna district of the state, is an Indian chess Grandmaster. Pullela Gopichand, is a former Indian badminton player. He won the All England Open Badminton Championships (2001), to becoming the second Indian to achieve it after Prakash Padukone. Cherukuri Lenin 1985 or 1986 – 24 October 2010) was an Indian archer and coach who won a silver medal at the Asian Grand Prix in Malaysia, and was a National Archery Coach.